Banff hostel locations provide access to one of the classic accommodations for those on a budget and the Banff area has three of them. Hostels in cities have often been described as backpacking in the city, but true backpackers would not agree. The accommodations are just too comfortable. There are three hostels in Banff Townsite. The highest rates are summer peak-season rates with prices ranging from $32 for shared rooms to up to $106 for a private room. As a family, we have stayed in many of the hostel-like Sierra Club lodges, and in some back-country private accommodations that provided dormitory like tents. We were not crazy about the dormitories, even with ear plugs, the risk of snorers who sounded like a freight train was real. We did like the ones that provided a separate room for families. Several times we fit our family of five neatly into a room or large winterized tent and enjoyed sharing the chores that were part of hostel living back then. The shared chores were a great experience for our children. Now, staff do the chores beyond picking up after yourself. Hostels have changed in the last few years with many having pubs and restaurants as part of the facility. If you are unfamiliar with hostels you can learn much at Hostels.com, http://www.hostels.com/en/index.html. This is the English version and seems to be less busy than the root URL. You can search for Banff hostel information and get descriptions, rates, and even make reservations for those that are affiliated with Hostels.com. You will find five listed for a search on Banff. The three listed below, which are in the Banff Townsite, one in the Lake Louis Townsite, and a wilderness hostel at Mosquito Creek on the road to the Icefields. Several neat thing about the Banff hostel facilities: They all have programs for those looking for employment in Banff, they all have wireless Internet access, they all have common areas and common cooking facilities. 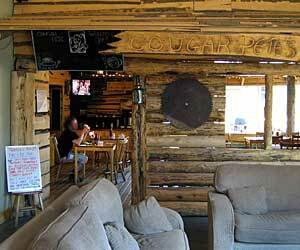 A couple even have on-premises pubs and restaurants. 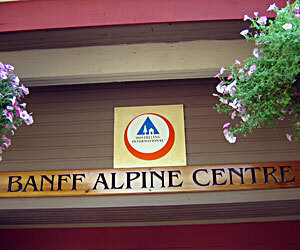 The Banff Alpine Centre is part of the Hostel International chain of hostels. It has been rated as one of the top hostels in the world and works hard at updates to keep it on the leading edge. Not easy to do as hostels all over the world, and in Banff, renovate to improve services and the hostel experience. Located within walking distance from Banff at the top of a hill, it is an easy walk down hill to town, but an aerobic workout on the way back. This is no problem since public transportation is available for the exercise challenged. It is also located adjacent to the Tunnel Mountain Village II campground. Use the link below for more information. 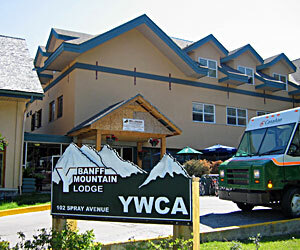 This hostel is run by the YWCA and 100% of proceeds go to the work of the Banff YMCA, mostly centered on helping battered women in the community. But the hostel is open to all. The advantage of this non-profit is that you do not have to pay the GST (5%) tax on the room. It is the most centrally located of the hostels, across From Canada Place, and a short walk to the compact shopping area of downtown Banff. Newly renovated, this hostel has a lot going for it. Use the link below for more information. Self described as "funky", this hostel illustrates how hosteling is not what it used to be -- due to the new renovations. This hostel has the traditional dormitory rooms, common areas and common kitchen, but no restaurant or pub. No problem, these are all available by a short walk into Banff. Use the link below for more information. 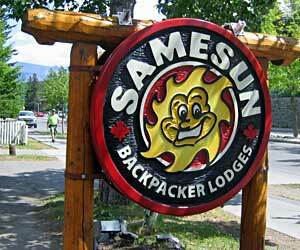 Located less than 50 meters away is The SameSun Banff Chalet, an upgraded hostel. The link below describes them both.